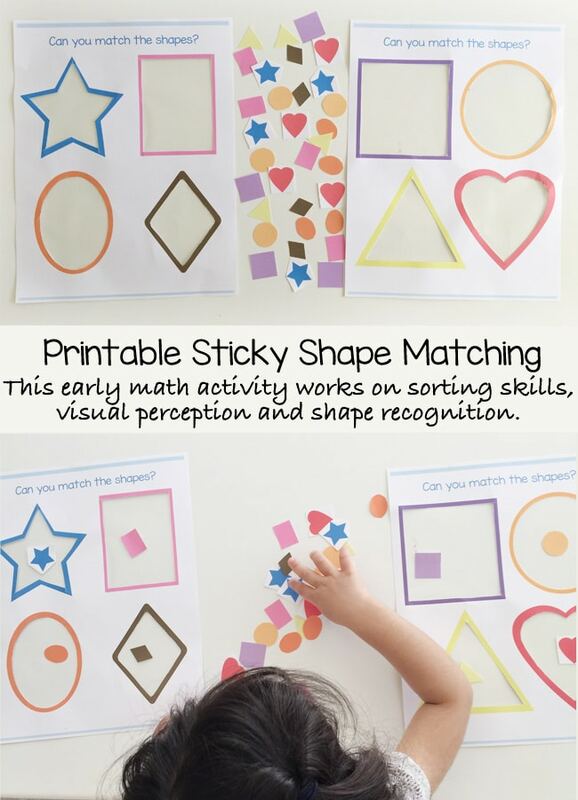 This adorable sticker preschool shapes matching activity is a wonderful toddler and preschool math activity that teaches young kids some important early math skills. 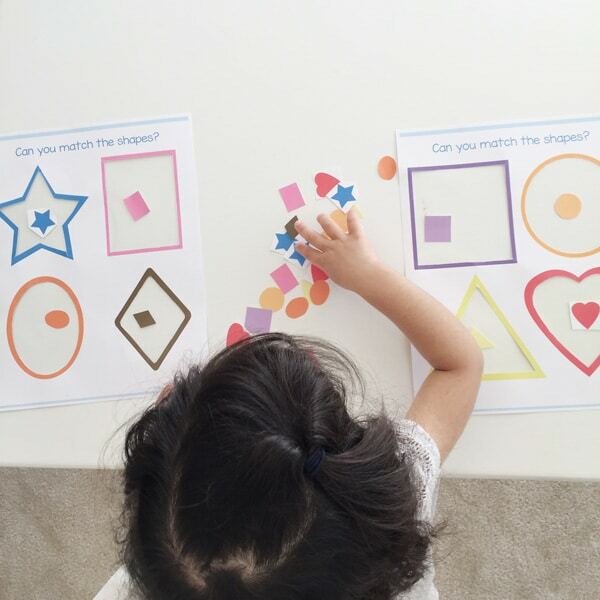 We love colors and shapes activities for preschoolers because they work on basic preschool shape recognition, preschool color recognition, sorting skills and visual perception. 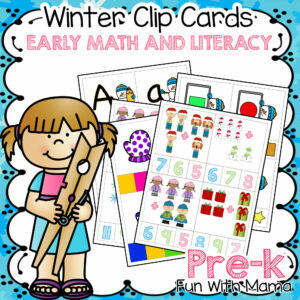 I love that not only is this a read on to learn more about this homeschool preschool freebie! 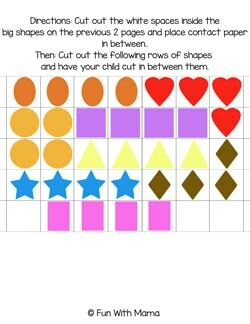 – The Printable Preschool Math Shapes Activity. 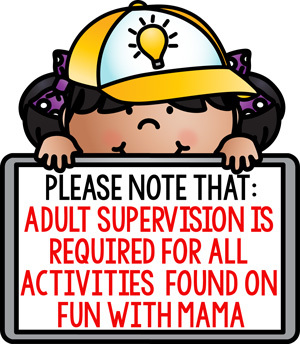 …and thats it! 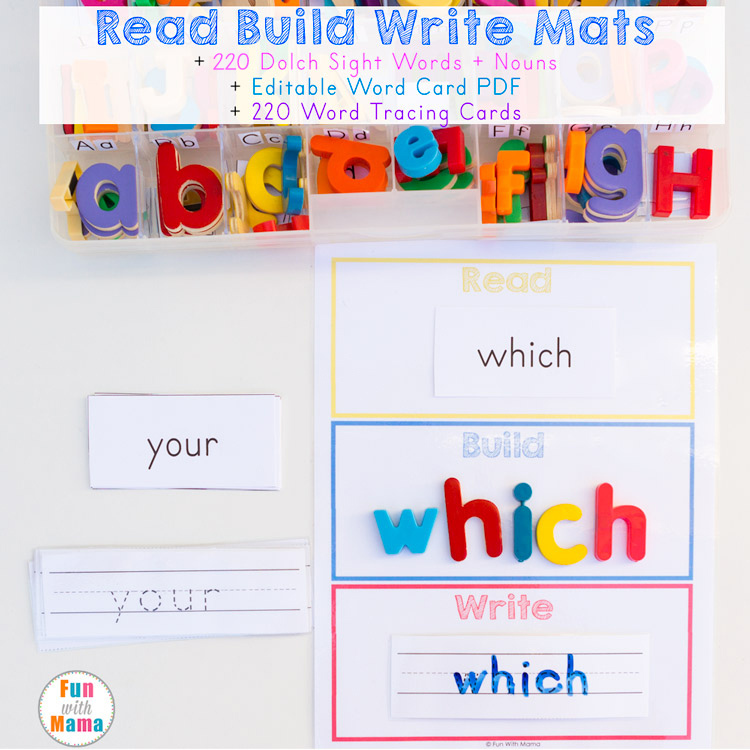 This activity requires very few materials and I’m pretty sure most of you already have these materials at home. 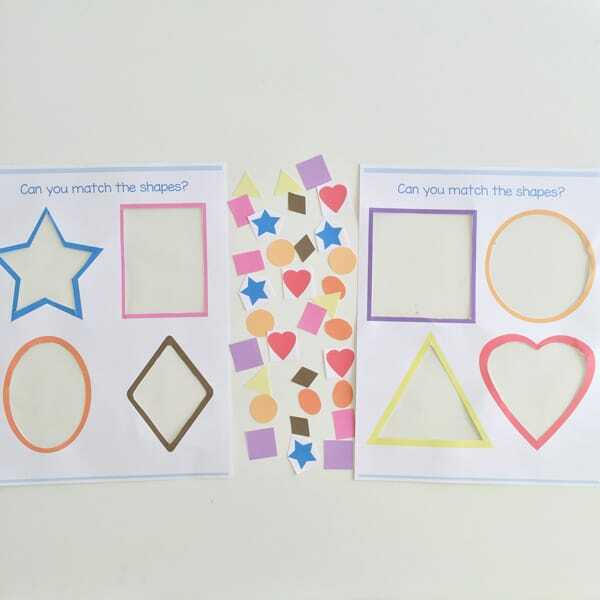 First you cut out the white part within the 2 shape matching pages. If you have a craft knife this is very quick and simple. If you don’t (I didn’t) then use scissors. It will take a little longer but it works fine too. 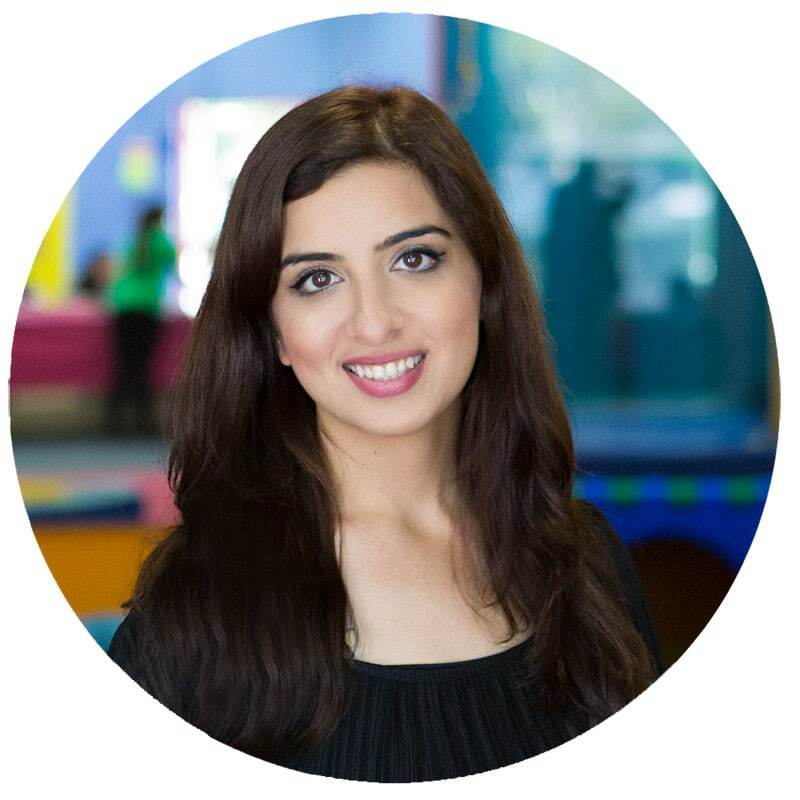 Then cut your contact paper to the size of the paper. 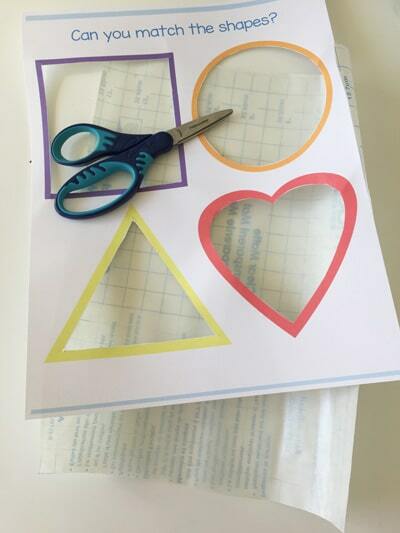 You could use contact paper which is perfectly sized to each shape but I didn’t want to spend any more time cutting. I preferred to cut it to the size of my paper and just lay it all on there at once. 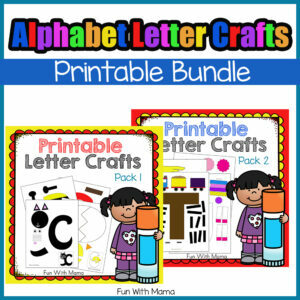 You could use your scrap pieces of contact paper for this! You can’t see the contact paper, but it is there in between the shapes. I love how inviting and colorful this preschool shapes matching activity is. 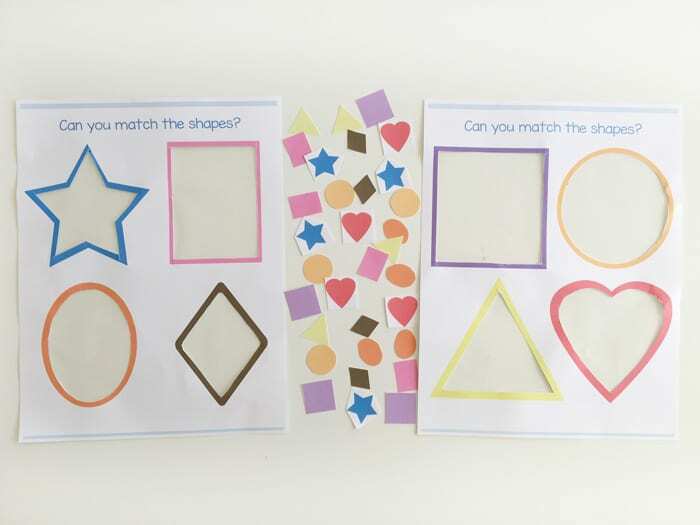 The contact paper is what turns each shape into a sticker. Now its all ready to go! 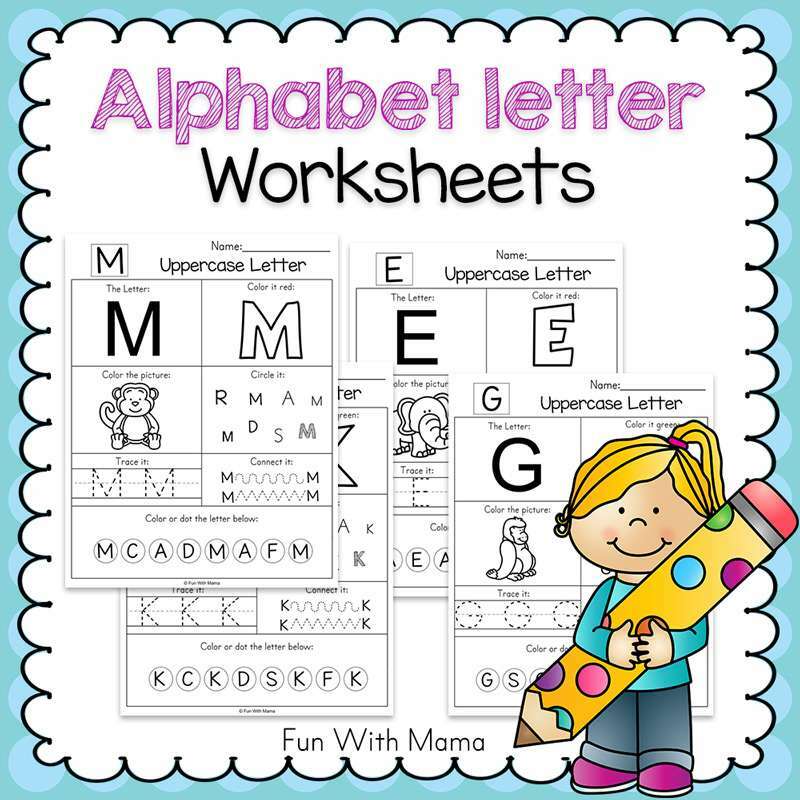 Lay it there on your child’s work area and have your child place them in the correct places. 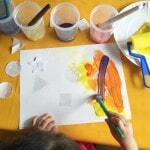 The stickiness of the contact paper makes it super simple to place the shapes down. 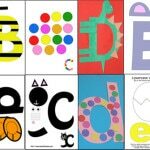 My two year old daughter said the name of the shapes out loud as she placed them. 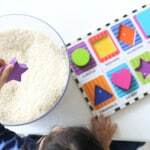 Instead of cutting out the shapes you could also use foam shapes. This would be a wonderful variation and a different tactile experience. 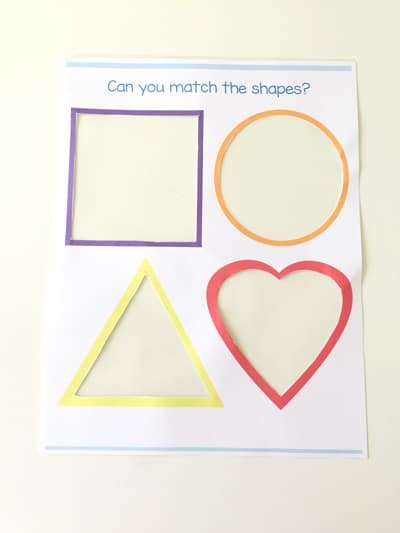 Looking for more shapes activities? 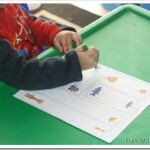 Try out our Shapes Hunt, or Shapes Fishing or the Shapes Resist painting activity. 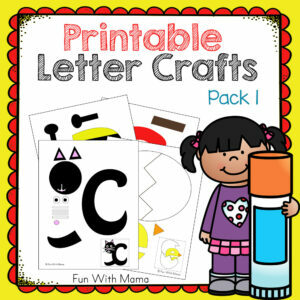 Don’t forget to check out our arts and crafts activities and these awesome preschool printable letter crafts too.